We are proud to announce the Daughters for Life Fourth Annual Gala was a success as both a night to celebrate the achievement of a few inspirational activists and our own DFL scholars, and also as a phenomenal fundraiser; DFL has raised thousands in support of our educational programs to help send young women in the Middle East to achieve higher level education. 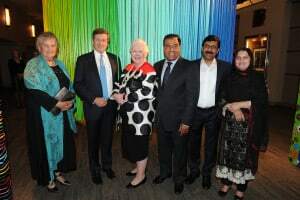 The gala celebrated some of Canada’s most talented artists like Charles Pachter, Barbara McGivern and Mike Hammer, whose decorative piece, Chroma, served as a highlight during the cocktail reception. Throughout the event, guests browsed the silent auction while admiring the artwork and the talented violin duo. 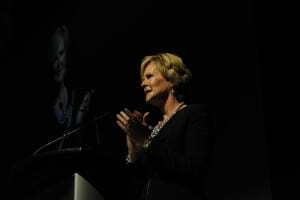 Erin Davis, the host of 98.1’s Morning Show, led the evening as the gala’s emcee and started off the night by introducing the honorable Elizabeth Dowdeswell, our Lieutenant Governor, who set the tone of the gala with her moving opening remarks. Guests were taken on a emotional and evocative journey during the poignant discussion between journalist Eldar Shlomi, who was the first to be called by DFL founder Dr. Abuelaish after the tragic deaths of his daughters and niece, and executive publisher and vice President of Penguin Publishing House, Louise Dennys. Following a spectacular aerial show by Angola Murdoch and Holly Treddenick from Lookup Theatre, and a powerful speech about a partnership between DFL and NCF by Stephen Miles, our 2016 scholar came to the stage. Loureen Sayej graduated through our scholarship this year and spoke about her experience with DFL and how her education has fuelled her ambitions. After ILAC spokesmen Jonathan Kolber delivered his speech, Milena Protich livened up the audience with an invigorating auction. The evening ended with the highlight of the gala, the honoring of this year’s three Luminary awardees. 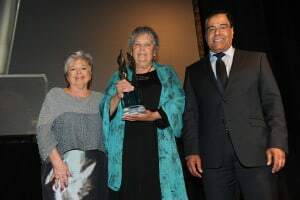 For the first time, a couple, Michele Landsberg and Stephen Lewis, were honored with the Lifetime Achievement Luminary award. Malala Yousafzai won the Courage and Inspiration Luminary Award, which was received by her parents on her behalf while also sending a thank you video of herself to be shown during the awards ceremony. Finally, Maria Campbell was presented the Trailblazer Luminary award. 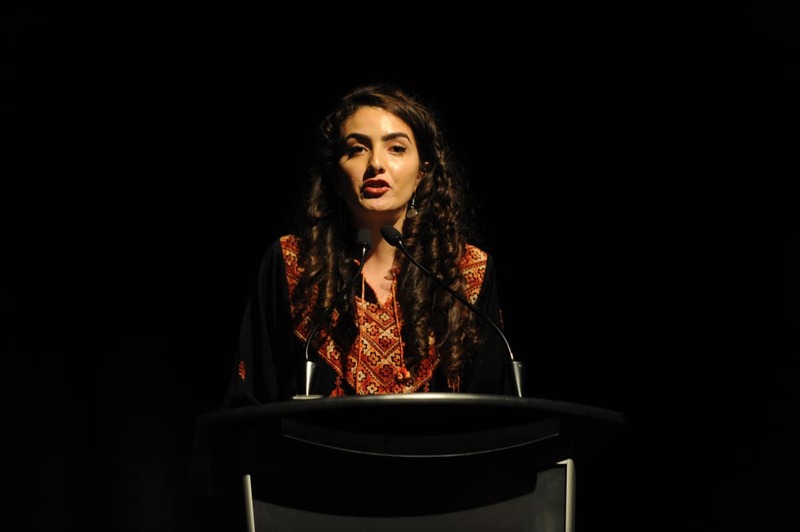 To wrap up a wonderful night, teen social activist Hannah Alper spoke about her experiences as an activist and her role models, like Malala, who inspire her to keep speaking for the voiceless. 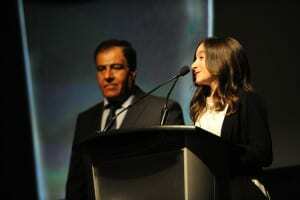 Shatha Abuelaish formally ended the gala with gratitude to our sponsors and guests. We spent the night with over 390 guests who celebrated our scholars and awardees as well as our vision for peace and gender equality in education in the Middle East and worldwide.